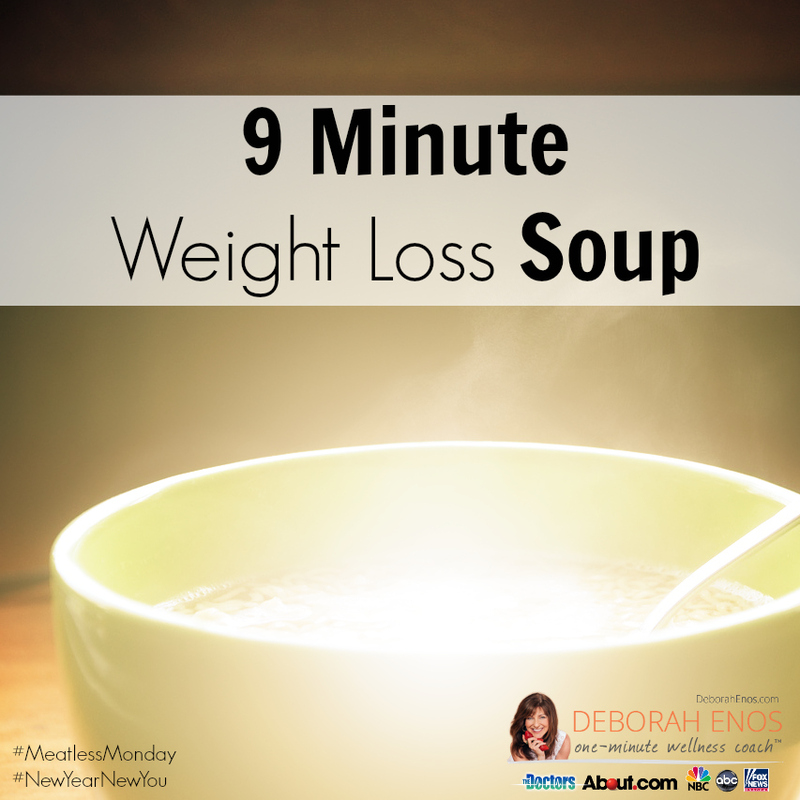 Weight Loss Soup – New Year New YOU! In a medium saucepan, add 1 Tbs. of olive oil. Add the onions and peppers and sauté until soft. Add the vegetable broth, beans, salsa, corn and jalapeños (the jalapeños are optional). Simmer on medium heat for 10 minutes. Add the lime juice (approximately 2 Tbs.) and stir until well mixed. If the soup is too thick add water. Ladle into bowls and top with cilantro (I like a lot of cilantro so I use about ¼ cup per bowl) and 1 Tbs. of sliced avocado. I then crumble a handful of Way Better Snacks on top to add crunch to the soup. 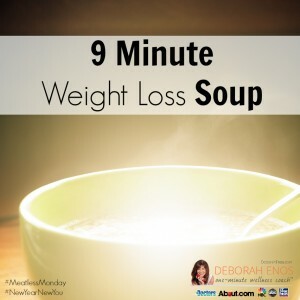 *** Be warned: My husband calls this Weight Loss Soup because it’s very filling and full of fiber, AND you might spend a little more time in the bathroom, hint, hint. If you’re not used to eating much fiber, I would recommend only using 1 can of refried beans. Studies have shown that hot soup (or any hot liquid) before a meal can dramatically reduce your appetite. I have discovered that if I make my meal hot liquid (soup), I eat less and I don’t snack much after dinner.